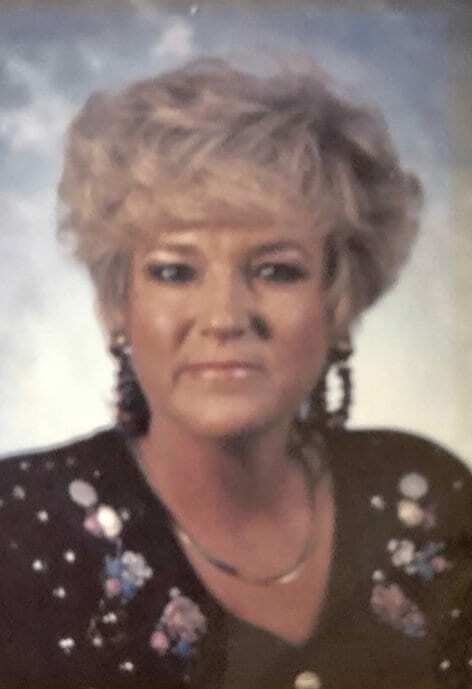 Linda Jean Gentry, age 71, of Mount Pleasant, passed away January 31, 2019, at Medical City in Plano, with her family by her side. She was born to the late J.W. and Myrtle Faye Gentry, December 5, 1947, in Morenci, Arizona. The family then moved to Cookville, where she attended school and met many life long friends. She worked as a cosmetologist for a short time and later began her career managing small loan companies. Linda truly lived life to the fullest through simple pleasures; chatting with friends and family, eating, spending time with her grandchildren and great grandchildren, and looking forward to her yearly Branson trip with her daughter. She is survived by her daughter, Shea Hanks of Mt. Pleasant; her sister and brother in law, Jafaye and Jerry Huffman of Mt. Pleasant; her sister, Kathy Williams of Mt. Pleasant. Three grandchildren, Joel Hanks and wife Lauren of Bogata, Haydon Hanks of Mt. Pleasant, and Meghan Lunsford and husband Jacob of Mt. Pleasant; and her two great grandsons, Kylen Lunsford and Rhett Hanks. Two very special nieces, Nona Johnson (Billy) of Flint and Dinah Harrison (Ronnie) of Lufkin; and two very special nephews Marcus Williams (Jennifer) and Kenneth Williams (Bree) of Mt. Pleasant, along with many other nieces, nephews and cousins. She was preceded in death by her precious son, Austin Scott Tigert, who took half her heart when he left us at an early age to be with the Lord. I can only imagine. Private memorial services will be held with her family at a later date. Oh goodness, where to start...I loved her very much!! When I was carrying my oldest son, I pulled muscles inside my thighs. Linda came, swept my floors and cooked for me. A few years later we came up on a wreck of a person we had just been talking to. We always had things to talk about but had lost touch in recent years. I always called her “Tiger” and will remember her fondly forever!! My prayers for the family. I will always have precious memories of this sweet lady! Sending extra prayers and hugs to everyone! I know she is rejoicing with Scott! She will be missed. Shea and family I am so sorry for the loss of your mother. I will keep you and your family in my prayers. So sorry to hear this. Went to school with Linda at Cookville. I know she will be missed. Prayers for her family.